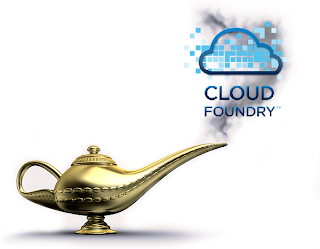 Just as the LAMP stack provided a core foundation next gen for web applications, Cloud Foundry is providing a core foundation for next gen cloud platforms. Cloud Foundry announced today that two new startups are building their clouds based on Cloud Foundry. ActiveState is building a cloud for Python and Django and contributing code to support Python back to the Cloud Foundry open source project. The beauty of this is that innovative startups are able to start with a scalable cloud "stack" that gives them a multi-language PaaS without locking them into a particular cloud provider. So for example, Appfog gets to use Cloud Foundry's best in class PaaS services and then target deployment to Amazon's EC2 and services like S3. Appfog CEO Lucas Carlson blogged here about how standing on the shoulders of cloud computing giants will allow Appfog to win in the cloud by providing the most compelling user experience. Expect to see the pace of innovation accelerate dramatically going forward!